‘Double think’ translates directly as ‘reality control’. As I have moved through life and gathered new information about the world I live in, I have noticed how it changes shape. Education and cultural experience have increasingly classified the world around me: my reality has become bounded by expectations. 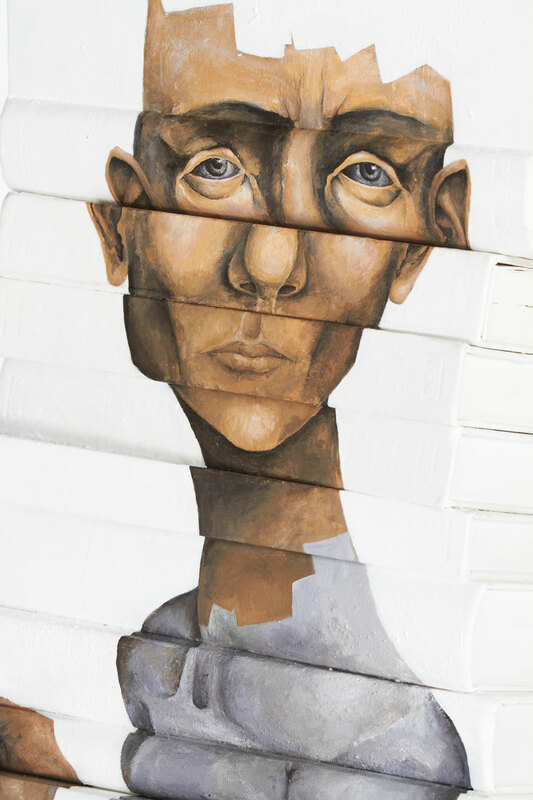 The use of old books to create the image of a person defines perception as a product of all past experience. The form of a brain is moulded from letters: our minds become trapped by the knowledge that fills them. My work sees reality as a fluid concept: a subjective state.